The importance of lighting in a room can mean everything. A dim, shady room looks smalls and sad while a well-lit room looks warm and inviting. 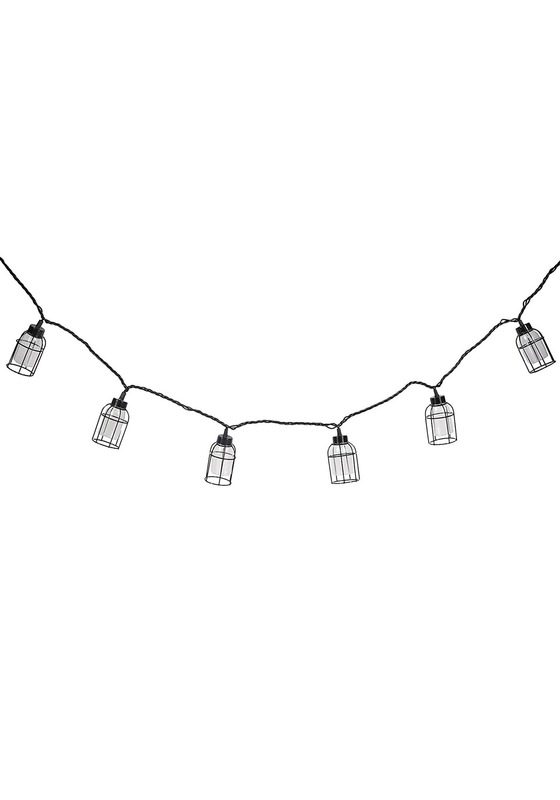 The 10 piece string light set features Edison bulbs encased in a cool iron cage— they're trendy and hip. 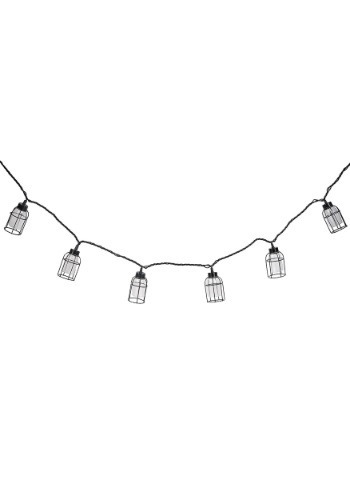 If you want to spice up a boring dorm room or add a special touch to an outdoor patio, then you came to the right place because these string lights are the answer to all your decor dreams. Add some Steam Punk flare to the kitchen, or the living room, or even the bathroom. You'll love taking mirror selfies with these dangling in the background. Wherever you choose to plug them in, get ready for a burst of light and a hypnotic ambiance that just can't be ignored! If you like Steam Punk decor you'll love the Edison Bulb Iron Cage 10-Piece String Light Set! The sleek black wire holds 8 Edison bulbs encased in a cool iron cage, plus they can be used indoors or outdoors. They look especially eye-catching on a porch or patio but they also look great in a living room or dorm room. Up to eight light sets can be strung together!